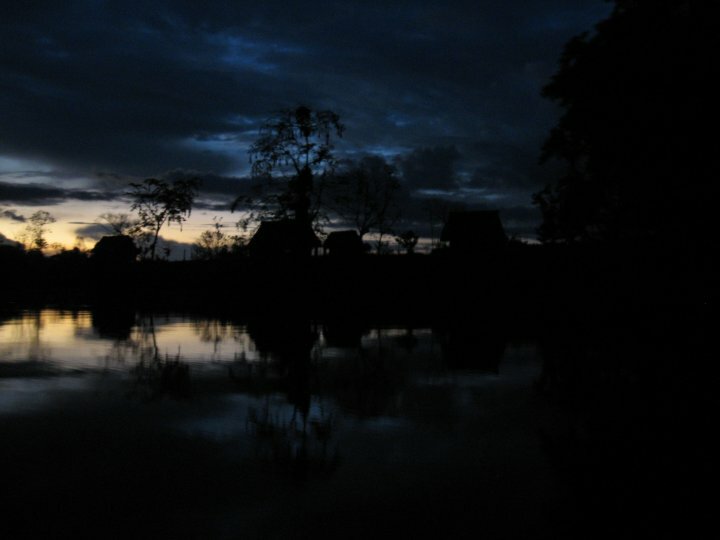 On a four-day trip into the Peruvian Amazon, I took this picture. We (the guide, a Colombian guy and myself) were heading back to camp for dinner at dusk in the long, rustic wooden boat. It was just starting to rain as we were coming up to these huts. I found the lighting and the reflection striking, but the darkness does hide perhaps the most quirky aspect of the huts visible in the daylight: they had satellite dishes on their roofs. Technology: it seems you can't escape it.